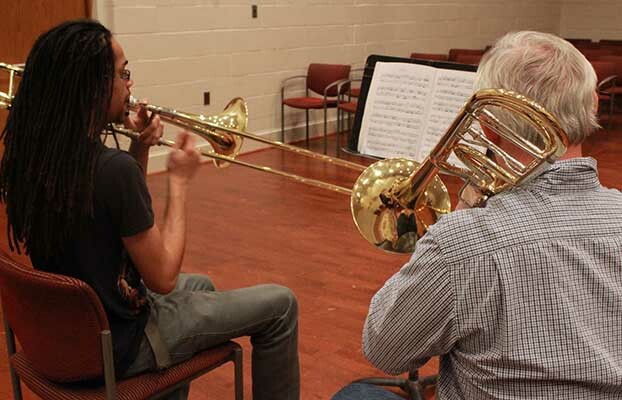 As a music student, you will learn under the close direction of skilled faculty. 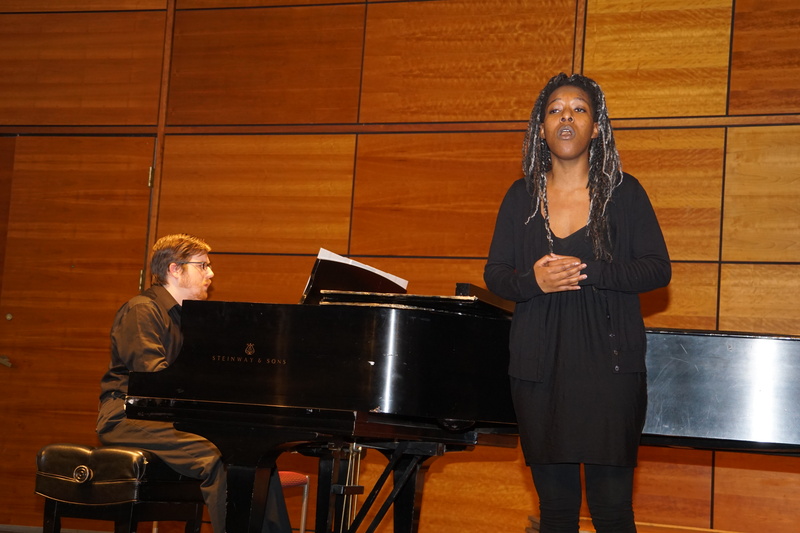 Furthermore, the music major provides a variety of instrumental and vocal performance opportunities. Curriculum for the music major consists of three parts: Music theory, Private instruction, history/literature, and Ensemble/individual performance opportunities. Fields of study include: Piano, Guitar, Harp, Saxophone, Conducting, Voice, Composition,Theory, or any combination of these on any major orchestral instrument! The goal of the music major is to provide a broad foundation of musical knowledge, coupled with a high level of performance skills. Together, these provide a substantial educational foundation, preparing you for advanced training and careers in a variety of fields such as performance, arts administration, music scholarship, and education. Our ultimate goal for you is to instill or to deepen in you an appreciation, affection, and respect for music specifically, and the arts in general. Participation in our musical activities helps to reinforce the vital role that the arts play in our lives, leading to what we hope will be a rich, life-long, life affirming association, no matter what life paths you choose to pursue. What can my area of study be in the St. Mary’s Music Department? While students think of themselves sometimes as “piano majors” or “voice majors,” liberal arts study (here and elsewhere) results in a Bachelor of Arts degree in Music. That stated, most students concentrate in one, sometimes two areas. At St. Mary’s, you can receive an excellent music education concentrating in performing on any of the major orchestral instruments, as well as piano, guitar, harp, saxophone, conducting, or voice; we have very fine teachers for all of these. You can also receive an excellent music education concentrating in composition, musicology (music history), or theory; we have wonderful faculty in all of these areas. Students interested in Music Education pursue the full music major combined with an Education Studies minor, and then enter a fifth year Masters of Arts in Teaching (MAT), which provides both the MAT degree and certification for teaching in the State of Maryland (K-12, instrumental and vocal music). Please see the MAT page for further information.